Reprinted from The Economic Policy Institute by Valerie Wilson on February 3, 2019. 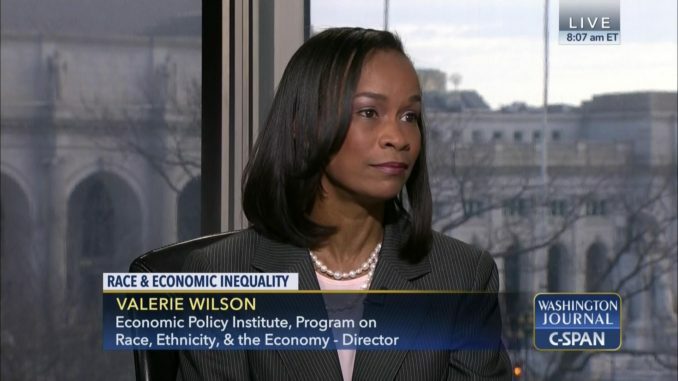 “The Raise the Wage Act of 2019, which proposes raising the federal minimum wage in six steps to $15 per hour by 2024, will result in a pay increase for 38.1 percent of all black workers and 23.2 percent of all white workers,” writes Valerie Wilson for the EPI. This disproportionate effect on black workers comes not just because they are more often employed in jobs that currently pay less than the proposed new minimum wage, but also because they are less likely to work in states or localities that have passed a state minimum wage that is higher than the federal minimum wage.